ROM School Visits are unforgettable experiences that spark curiosity and encourage a deeper understanding of art, culture and nature. 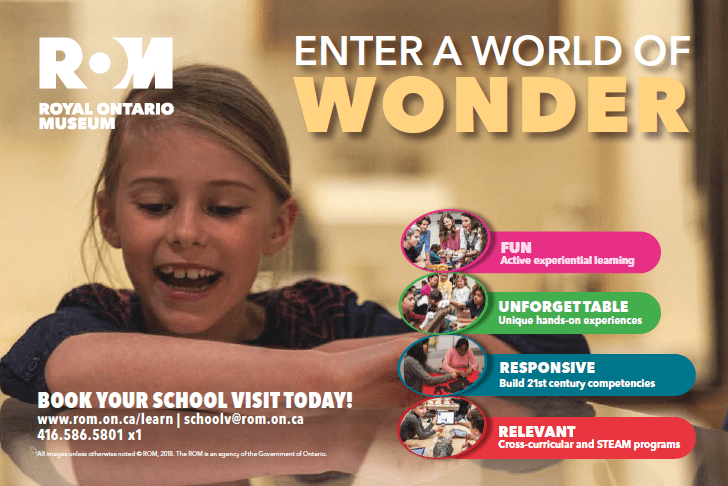 Through guided tours, hands-on labs, and makerspace activities, our experienced ROM Teachers use our world-class collection to inspire learning. Build your students’ critical thinking, communication, collaboration, and creativity through inquiry-based experiential learning.